Unit is now Vacant and easy to show!ON THE BEACH !!! Breezy 1 Bedroom unit, located on the cooler side of the building, and extremely close to a white sand beach & blue ocean. Enjoy a private lagoon where whales, dolphins and monk seals frequently pass by. 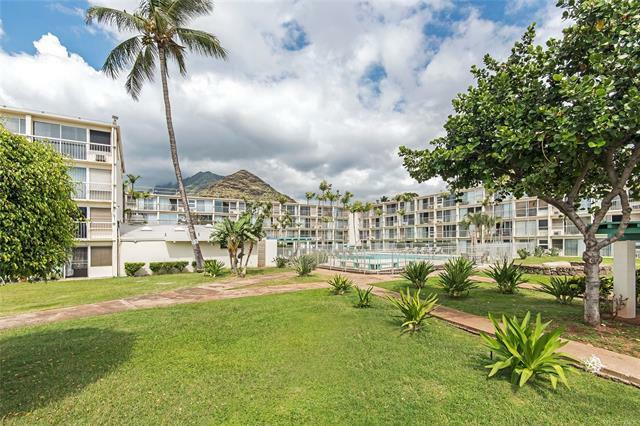 This studio is minutes away from the world famous Makaha Surfing Beach, Ko'Olina's Aulani Disney Resort and Spa, and dozens of eateries ranging for nearly every style of dining. Enjoy two swimming pools, BBQ areas, a recreation center, a sauna, and a workout room in a secured gated community. Facility has 24 hour security, on site manager, guest parking, mini convenience store & community laundry.